Native American societies, often viewed as unchanging, in fact experienced a rich process of cultural innovation in the millennia prior to recorded history. Societies of the Hocking River Valley in southeastern Ohio, part of the Ohio River Valley, created a tribal organization beginning about 2000 bc. 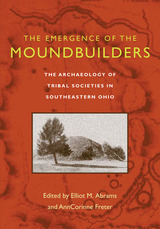 Edited by Elliot M. Abrams and AnnCorinne Freter, The Emergence of the Moundbuilders: The Archaeology of Tribal Societies in Southeastern Ohio presents the process of tribal formation and change in the region based on analyses of all available archaeological data from the Hocking River Valley. Drawing on the work of scholars in archaeology, anthropology, geography, geology, and botany, the collection addresses tribal society formation through such topics as the first pottery made in the valley, aggregate feasting by nomadic groups, the social context for burying their dead in earthen mounds, the formation of religious ceremonial centers, and the earliest adoption of corn. Providing the most current research on indigenous societies in the Hocking Valley, The Emergence of the Moundbuilders is distinguished by its broad, comparative overview of tribal life. 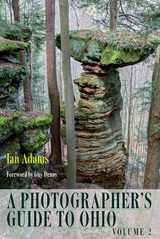 Ian Adams is perhaps the best-known landscape photographer in Ohio, and in the first volume of A Photographer’s Guide to Ohio, he shared his knowledge of what to photograph in the Buckeye State and how to photograph it. Now, in this second volume, Adams expands on his previous work, adding over 120 natural features, scenic rivers and byways, zoos and public gardens, historic buildings and murals, and even winter lighting displays to the list of places to visit and photograph in Ohio. In addition to advice on photographing landscapes, he offers tips for capturing excellent images of butterflies and dragonflies. Recognizing the rapid development of new technologies, Adams includes pointers on smartphone photography, lighting and composition, digital workflow, and sharing images across a variety of platforms. The book is illustrated with more than 100 color photographs. Comprehensive and concise, these two volumes make up a travel and photography guide to almost 300 of Ohio’s most noteworthy and beautiful outdoor places. In A Photographer’s Guide to Ohio Ian Adams, Ohio’s foremost landscape photographer, guides you to some of the most photogenic sites in the Buckeye State. With 3,600 buildings on the National Register of Historic Places, more than 120 state parks and nature preserves, and the world’s largest Amish community, Ohio’s photographic subjects are nearly endless. In more than 150 color photographs, Adams shows you how to capture the beauty of the seasons when photographing Ohio’s scenic vistas, nature preserves, waterfalls, public gardens, historic barns and bridges, landmark buildings, and town murals. Accompanied by regional maps, each entry includes clear directions and GPS locations, related websites, and historical facts about the area, as well as Adams’s detailed suggestions for capturing the best images. Both beginners and experienced photographers will find expert guidance in Adams’s clear advice on digital landscape photography and will be inspired to create their own stunning Ohio scenic images. Our Lady of Victorian Feminism is about three nineteenth-century women, Protestants by background and feminists by conviction, who are curiously and crucially linked by their extensive use of the Madonna in arguments designed to empower women. In the field of Victorian studies, few scholars have looked beyond the customary identification of the Christian Madonna with the Victorian feminine ideal—the domestic Madonna or the Angel in the House. Kimberly VanEsveld Adams shows, however, that these three Victorian writers made extensive use of the Madonna in feminist arguments. They were able to see this figure in new ways, freely appropriating the images of independent, powerful, and wise Virgin Mothers. In addition to contributions in the fields of literary criticism, art history, and religious studies, Our Lady of Victorian Feminism places a needed emphasis on the connections between the intellectuals and the activists of the nineteenth-century women's movement. 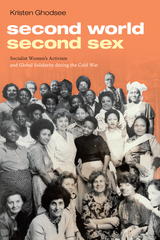 It also draws attention to an often neglected strain of feminist thought, essentialist feminism, which proclaimed sexual equality as well as difference, enabling the three writers to make one of their most radical arguments, that women and men are made in the image of the Virgin Mother and the Son, the two faces of the divine. Former South African president Thabo Mbeki is a complex figure. He was a committed young Marxist who, while in power, embraced conservative economic policies and protected white corporate interests; a rational and dispassionate thinker who was particularly sensitive to criticism and dissent; and a champion of African self-reliance who relied excessively on foreign capital. As a key liberation leader in exile, he was instrumental in the ANC’s antiapartheid struggle. Later, he helped build one of the world’s most respected constitutional democracies. As president, though, he was unable to overcome inherited socioeconomic challenges, and his disastrous AIDS policies will remain a major blotch on his legacy. Mbeki is the most important African political figure of his generation. He will be remembered as a foreign policy president for his peacemaking efforts and his role in building continental institutions, not least of which was the African Union. 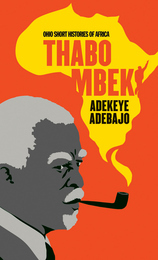 In this concise biography, ideally suited for the classroom, Adekeye Adebajo seeks to illuminate Mbeki’s contradictions and situate him in a pan-African pantheon. Among other ecological benefits, native shrubs and trees provide birds and butterflies with vital food and reproductive sites that nonnative species cannot offer. And they tend to be hardier and easier to maintain. The authors provide a comprehensive selection of native woody alternatives that, season by season, provide effects similar to those of nonnative shrubs and trees used for ornamental purposes and shade. These plants are suitable for all garden styles, provide blooms and fall color, and have the same cultivation requirements as their nonnative counterparts. Nature notes alert readers to the native species’ unique ecological roles. 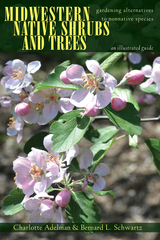 Unlike other gardening guides, Midwestern Native Shrubs and Trees goes beyond mere suggestion to provide gardeners with the tools they need to make informed, thoughtful choices. Knowing which native species to plant for desired effects empowers landscapers and gardeners to take on a greater role in protecting our midwestern environment. Midwestern gardeners and landscapers are becoming increasingly attracted to noninvasive regional native wildflowers and plants over popular nonnative species. The Midwestern Native Garden offers viable alternatives to both amateurs and professionals, whether they are considering adding a few native plants or intending to go native all the way. Native plants improve air and water quality, reduce use of pesticides, and provide vital food and reproductive sites to birds and butterflies, that nonnative plants cannot offer, helping bring back a healthy ecosystem. The authors provide a comprehensive selection of native alternatives that look similar or even identical to a range of nonnative ornamentals. These are native plants that are suitable for all garden styles, bloom during the same season, and have the same cultivation requirements as their nonnative counterparts. Plant entries are accompanied by nature notes setting out the specific birds and butterflies the native plants attract. The Midwestern Native Garden will be a welcome guide to gardeners whose styles range from formal to naturalistic but who want to create an authentic sense of place, with regional natives. The beauty, hardiness, and easy maintenance of native Midwestern plants will soon make them the new favorites. In 1998 David Kruiper, the leader of the ‡Khomani San who today live in the Kalahari Desert in South Africa, lamented, “We have been made into nothing.” His comment applies equally to the fate of all the hunter-gatherer societies of the Cape Colony who were destroyed by the impact of European colonialism. Until relatively recently, the extermination of the Cape San peoples has been treated as little more than a footnote to South African narratives of colonial conquest. During the eighteenth and nineteenth centuries, Dutch-speaking pastoralists who infiltrated the Cape interior dispossessed its aboriginal inhabitants. In response to indigenous resistance, colonists formed mounted militia units known as commandos with the express purpose of destroying San bands. This ensured the virtual extinction of the Cape San peoples. In The Anatomy of a South African Genocide, Mohamed Adhikari examines the history of the San and persuasively presents the annihilation of Cape San society as genocide. The concept of Colouredness—being neither white nor black—has been pivotal to the brand of racial thinking particular to South African society. The nature of Coloured identity and its heritage of oppression has always been a matter of intense political and ideological contestation. Not White Enough, Not Black Enough: Racial Identity in the South African Coloured Community is the first systematic study of Coloured identity, its history, and its relevance to South African national life. Mohamed Adhikari engages with the debates and controversies thrown up by the identity’s troubled existence and challenges much of the conventional wisdom associated with it. A combination of wide-ranging thematic analyses and detailed case studies illustrates how Colouredness functioned as a social identity from the time of its emergence in the late nineteenth century through its adaptation to the postapartheid environment. Adhikari demonstrates how the interplay of marginality, racial hierarchy, assimilationist aspirations, negative racial stereotyping, class divisions, and ideological conflicts helped mold people’s sense of Colouredness over the past century. Knowledge of this history, and of the social and political dynamic that informed the articulation of a separate Coloured identity, is vital to an understanding of present-day complexities in South Africa. Gabriela Mistral is the only Latin American woman writer to be awarded the Nobel Prize in Literature. Even so, her extraordinary achievements in poetry, narrative, and political essays remain largely untold. Gabriela Mistral: The Audacious Traveler explores boldly and thoughtfully the complex legacy of Mistral and the way in which her work continues to define Latin America. Edited by Professor Marjorie Agosín, Gabriela Mistral: The Audacious Traveler addresses for the first time the vision that Mistral conveyed as a representative of Chile during the drafting of the United Nations Human Rights Declaration. It depicts Mistral as a courageous social activist whose art and writings against fascism reveal a passionate voice for freedom and justice. The book also explores Mistral's Pan-American vision and her desire to be part of a unified American hemisphere as well as her concern for the Caribbean and Brazil. Readers will learn of her sojourn in Brazil, her turbulent years as consul in Madrid, and, finally, her last days on Long Island. Students of her poetry, as well as general readers, will find Gabriela Mistral: The Audacious Traveler an insightful collection dedicated to the life and work of an inspiring and original artist. The contributors are Jonathan Cohen, Joseph R. Slaughter, Verónica Darer, Patricia Varas, Eugenia Muñoz, Darrell B. Lockhart, Ivonne Gordon Vailakis, Santiago Daydí-Tolson, Diana Anhalt, Ana Pizarro, Randall Couch, Patricia Rubio, Elizabeth Horan, Emma Sepúlveda, Luis Vargas Saavedra, and Marie-Lise Gazarian-Gautier. In Taking Root, Latin American women of Jewish descent, from Mexico to Uruguay, recall their coming of age with Sabbath candles and Hebrew prayers, Ladino songs and merengue music, Queen Esther and the Virgin of Guadalupe. Rich and poor, Sephardi and Ashkenazi, Jewish immigrant families searched for a new home and identity in predominantly Catholic societies. The essays included here examine the religious, economic, social, and political choices these families have made and continue to make as they forge Jewish identities in the New World. Marjorie Agosín has gathered narratives and testimonies that reveal the immense diversity of Latin American Jewish experience. These essays, based on first- and second-generation immigrant experience, describe differing points of view and levels of involvement in Jewish tradition. 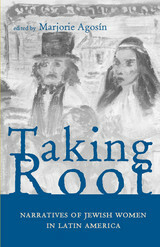 In Taking Root, Agosín presents us with a contemporary and vivid account of the Jewish experience in Latin America. Taking Root documents the sadness of exile and loss but also a fierce determination to maintain Jewish traditions. This is Jewish history but it is also part of the untold history of Brazil, Argentina, El Salvador, Ecuador, Chile, Peru, and all of Latin America. At a watershed moment in the scholarly approach to the history of this important region, New Terrains in Southeast Asian History captures the richness and diversity of historical discourse among Southeast Asian scholars. Through the perspectives of scholars who live and work within the region, the book offers readers a rare opportunity to enter into the world of Southeast Asian historiography. 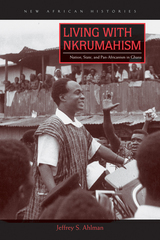 Individual chapters subject the dominance of national narratives to critical reflection and deconstruction, while others highlight the need to go beyond essentially political narratives to seek out deeper cultural, economic, and social structures by utilizing new sources, methodologies, and concepts. Taken as a whole, the book contends that new terrains in Southeast Asian history may be found “at the interstices and on the margins” where nations, societies, or cultures engage the unending processes of historical change. The contributors are Abdul Rahman Haji Ismail, Abu Talib Ahmad, Andrew Hardy, Badriyah Haji Salleh, Brenda S. A. Yeoh, C. J. W.-L. Wee, Ni Ni Myint, Dhiravat na Pombejra, Hong Lysa, Huang Jianli, Kobkua Suwannathat-Pian, M. R. Fernando, P. Lim Pui Huen, Paul H. Kratoska, Tan Liok Ee, Thongchai Winichakul, and Yong Mun Cheong. There have been institutions of higher learning for centuries in Africa, but the phenomenal growth has taken place in the last fifty years, first in the later days of colonialism and then in the heady days of independence and commodity boom. Without them, there would have been no development. The three highly distinguished authors have written the first comprehensive assessment of universities and higher education in Africa south of the Sahara. As can be seen from their biographies, they draw on experience from both francophone and anglophone Africa and from teaching in both the sciences and the arts. With this edition of Requiem and Poem without a Hero, Swallow Press presents two of Anna Akhmatova's best-known works, ones that represent the poet at full maturity, and that most trenchantly process the trauma she and others experienced living under Stalin's regime. Akhmatova began the three-decade process of writing Requiem in 1935 after the arrests of her son, Lev Gumilev, and her third husband. The autobiographical fifteen-poem cycle primarily chronicles a mother's wait-lining up outside Leningrad Prison every day for seventeen months-for news of her son's fate. But from this limbo, Akhmatova expresses and elevates the collective grief for all the thousands vanished under the regime, and for those left behind to speculate about their loved ones' fates. Poem without a Hero was similarly written over a long period. It takes as its focus the transformation of Akhmatova's beloved city of St. Petersburg-historically a seat of art and culture-into Leningrad. Taken together, these works plumb the foremost themes for which Akhmatova is known and revered. When Ohio University Press published D. M. Thomas's translations in 1976, it was the first time they had appeared in English. Under Thomas's stewardship, Akhmatova's words ring clear as a bell. Anna Akhmatova is considered one of Russia’s greatest poets. Her life encompassed the turmoil of the Russian Revolution and the paranoia and persecution of the Stalinist era: her works embody the complexities of the age. At the same time, she was able to merge these complexities into a single, poetic voice to speak to the Russian people with whom she so closely and proudly identified. 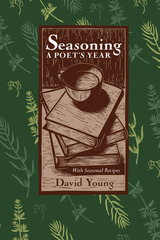 Way of All the Earth contains short poems written between 1909 and 1964, selected from Evening, Rosary, White Flock, Plantain, Anno Domini, Reed, and The Seventh Book. Intricately observed and unwavering in their emotional immediacy, these strikingly modern poems represent one of the twentieth century’s most powerful voices. Anna Akhmatova (1889–1966) was part of that magnificent and in many ways tragic generation of Russian artists which came to first maturity before 1917, and which then had to come to terms with official discouragement and often persecution. As D.M. Thomas points out in his introduction, practically none of her poetry was published between 1923 and 1940. Her poetic range was wide, from the transparent anonymity of “Requiem” to the symphonic complexity of “Poem without a Hero.” She was revered and loved not only by the best of her fellow poets but by the ordinary people of Russia: five thousand mourners, mostly the young, crowded to her requiem mass in a Leningrad church. You Will Hear Thunder brings together for the first time all D.M. 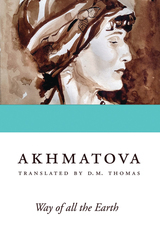 Thomas’s translations of Anna Akhmatova’s poems. They were very highly praised on their separate appearances in 1976 and 1979. John Bayley called them “a mastery achievement,” and said of Thomas that “he has profound reverence and affection for the original;” while Donald David wrote that Thomas’s translation was “The first version to explain to me why Akhmatova was so much esteemed by those great poets, Pasternak and Mandelstam and Tsvetaeva.” It is good to have these powerful, noble and compassionate poems in one set of covers. This study offers a “social interpretation of environmental process” for the coastal lowlands of southeastern Ghana. The Anlo-Ewe, sometimes hailed as the quintessential sea fishermen of the West African coast, are a previously non-maritime people who developed a maritime tradition. As a fishing community the Anlo have a strong attachment to their land. In the twentieth century coastal erosion has brought about a collapse of the balance between nature and culture. The Anlo have sought spiritual explanations but at the same time have responded politically by developing broader ties with Ewe-speaking peoples along the coast. 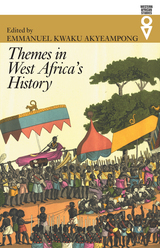 There has long been a need for a new textbook on West Africa’s history. In Themes in West Africa’s History, editor Emmanuel Kwaku Akyeampong and his contributors meet this need, examining key themes in West Africa’s prehistory to the present through the lenses of their different disciplines. The contents of the book comprise an introduction and thirteen chapters divided into three parts. Each chapter provides an overview of existing literature on major topics, as well as a short list of recommended reading, and breaks new ground through the incorporation of original research. The first part of the book examines paths to a West African past, including perspectives from archaeology, ecology and culture, linguistics, and oral traditions. Part two probes environment, society, and agency and historical change through essays on the slave trade, social inequality, religious interaction, poverty, disease, and urbanization. Part three sheds light on contemporary West Africa in exploring how economic and political developments have shaped religious expression and identity in significant ways. Themes in West Africa’s History represents a range of intellectual views and interpretations from leading scholars on West Africa’s history. It will appeal to college undergraduates, graduate students, and scholars in the way it draws on different disciplines and expertise to bring together key themes in West Africa’s history, from prehistory to the present. From Accra and Algiers to Zanzibar and Zululand, Africans have wrested control of soccer from the hands of Europeans, and through the rise of different playing styles, the rituals of spectatorship, and the presence of magicians and healers, have turned soccer into a distinctively African activity. African Soccerscapes explores how Africans adopted soccer for their own reasons and on their own terms. Soccer was a rare form of “national culture” in postcolonial Africa, where stadiums and clubhouses became arenas in which Africans challenged colonial power and expressed a commitment to racial equality and self-determination. New nations staged matches as part of their independence cele­brations and joined the world body, FIFA. The Confédération africaine de football democratized the global game through antiapartheid sanctions and increased the number of African teams in the World Cup finals. In this compact, highly readable book Alegi shows that the result of this success has been the departure of huge numbers of players to overseas clubs and the growing influence of private commercial interests on the African game. But the growth of women’s soccer and South Africa’s hosting of the 2010 World Cup also challenge the one-dimensional notion of Africa as a backward, “tribal” continent populated by victims of war, corruption, famine, and disease. In Victorian England, virtually all women were taught to sew; needlework was allied with images of domestic economy and with traditional female roles of wife and mother- with home rather than factory. The professional seamstress, however, labored long hours for very small wages creating gowns for the upper and middle classes. In her isolation and helplessness, she provided social reformers with a powerful image of working-class suffering that appealed to the sensibilities of the upper classes and helped galvanize public opinion around the need for reform. Women, Work, and Representation addresses the use of that image in the reform movement, underscoring the shock to the Victorian public when reports revealed that the profession of needlework was extremely hazardous, even deadly. Author Lynn M. Alexander traces the development of the symbol of the seamstress through a variety of presentations, drawing from the writings of Charles Dickens, Elizabeth Gaskell, Charlotte Elizabeth Tonna, and George W. M. Reynolds, and on visual representations by Richard Redgrave, Thomas Benjamin Kennington, John Everett Millais, John Leech, John Tenniel, and Hubert von Herkomer. Written to appeal to Victorian scholars, women's studies scholars, and those interested in semiotics and aestheticism, Women, Work, and Representation includes twenty illustrations, most from periodicals of the day, providing new insights into the lives of working women throughout the Victorian era. The Marikana Massacre of August 16, 2012, was the single most lethal use of force by South African security forces against civilians since the end of apartheid. Those killed were mineworkers in support of a pay raise. Through a series of interviews conducted with workers who survived the attack, this account documents and examines the controversial shootings in great detail, beginning with a valuable history of the events leading up to the killing of workers, and including eyewitness accounts of the violence and interviews with family members of those who perished. While the official Farlam Commission investigation of the massacre is still ongoing, many South Africans do not hold much confidence in the government’s ability to examine its own complicity in these events. Marikana, on the other hand, examines the various roles played by the African National Congress, the mine company, and the National Union of Mineworkers in creating the conditions that led to the massacre. While the commission’s investigations take place in a courtroom setting tilted toward those in power, Marikana documents testimony from the mineworkers in the days before official statements were even gathered, offering an unusually immediate and unfiltered look at the reality from the perspective of those most directly affected. 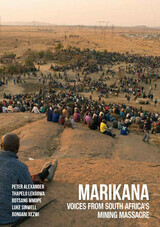 Enhanced by vivid maps that make clear the setting and situation of the events, Marikana is an invaluable work of history, journalism, sociology, and activism. The first history of a federal district court in a midwestern state, A Place of Recourse explains a district court’s function and how its mission has evolved. The court has grown from an obscure institution adjudicating minor debt and land disputes to one that plays a central role in the political, economic, and social lives of southern Ohioans. In tracing the court’s development, Alexander explores the central issues confronting the district court judges during each historical era. She describes how this court in a non-slave state responded to fugitive slave laws and how a court whose jurisdiction included a major coal-mining region responded to striking workers and the unionization movement. 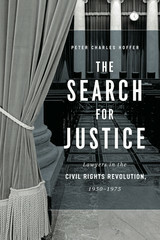 The book also documents judicial responses to Prohibition, New Deal legislation, crime, mass tort litigation, and racial desegregation. The history of a court is also the history of its judges. Accordingly, Alexander provides historical insight on current and past judges. She details behind-the-scenes maneuvers in judicial appointments and also the creativity some judges displayed on the bench—such as Judge Leavitt, who adopted admiralty law to deal with the problems of river traffic. A Place of Recourse demonstrates that, at least in the Southern District of Ohio, the federal district court has played the role its creators hoped it would—upholding federal law even when the citizens of the region actively opposed such enforcement. Historically, most black voters in the United States have aligned themselves with one of the two major parties: the Republican Party from the time of the Civil War to the New Deal and, since the New Deal—and especially since the height of the modern civil rights movement—the Democratic Party. However, as In the Balance of Power convincingly demonstrates, African Americans have long been part of independent political movements and have used third parties to advance some of the most important changes in the United States, notably the abolition of slavery, the extension of voting rights, and the enforcement of civil rights. Since the early nineteenth century, there has been an undercurrent of political independence among African Americans. They helped develop the Liberty Party in the 1840s and have continued to work with third parties to challenge the policies of the two major parties. But despite the legal gains of the modern civil rights movement, elements of Jim Crow remain deeply embedded in our electoral process. In the Balance of Power presents a history and analysis of African American third-party movements that can help us better understand the growing diversity among black voters today. Kiswahili has become the lingua franca of eastern Africa. Yet there can be few historic peoples whose identity is as elusive as that of the Swahili. Some have described themselves as Arabs, as Persians or even, in one place, as Portuguese. It is doubtful whether, even today, most of the people about whom this book is written would unhesitatingly and in all contexts accept the name Swahili. This book was central to the thought and lifework of the late James de Vere Allen. It is his major study of the origin of the Swahili and of their cultural identity. He focuses on how the African element in their cultural patrimony was first modified by Islam and later changed until many Swahili themselves lost sight of it. They share a language and they share a culture. Their territory stretches from the coast of southern Somalia to the Lamu archipelago in Kenya, to the Rovuma River in modern Mozambique and out into the islands of the Indian Ocean. But they lack a shared historical experience. James de Vere Allen, in this study of contentious originality, set out to give modern Swahili evidence of their shared history during a period of eight centuries. Cleansing the City: Sanitary Geographies in Victorian Londonexplores not only the challenges faced by reformers as they strove toclean up an increasingly filthy city but the resistance to their efforts.Beginning in the 1830s, reform-minded citizens, under the banner of sanitaryimprovement, plunged into London’s dark and dirty spaces and returned withthe material they needed to promote public health legislation and magnificentprojects of sanitary engineering. Sanitary reform, however, was not alwaysmet with unqualified enthusiasm. While some improvements, such as slumclearances, the development of sewerage, and the embankment of the Thames,may have made London a cleaner place to live, these projects also destroyedand reshaped the built environment, and in doing so, altered the meanings andexperiences of the city. From the novels of Charles Dickens and George Gissing to anonymous magazinearticles and pamphlets, resistance to reform found expression in the nostalgicappreciation of a threatened urban landscape and anxiety about domestic autonomyin an era of networked sanitary services. Cleansing the City emphasizes the disruptions and disorientation occasioned by purification—a process we are generally inclined to see as positive. By recovering these sometimes oppositional, sometimes ambivalent responses, Michelle Allen elevates a significant undercurrent of Victorian thought into the mainstream and thus provides insight into the contested nature of sanitary modernization. Between 1500 and 1850, European traders shipped hundreds of thousands of African, Indian, Malagasy, and Southeast Asian slaves to ports throughout the Indian Ocean world. 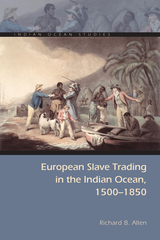 The activities of the British, Dutch, French, and Portuguese traders who operated in the Indian Ocean demonstrate that European slave trading was not confined largely to the Atlantic but must now be viewed as a truly global phenomenon. 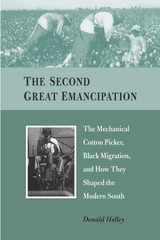 European slave trading and abolitionism in the Indian Ocean also led to the development of an increasingly integrated movement of slave, convict, and indentured labor during the late eighteenth and early nineteenth centuries, the consequences of which resonated well into the twentieth century. Richard B. Allen’s magisterial work dramatically expands our understanding of the movement of free and forced labor around the world. 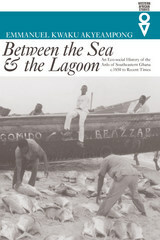 Drawing upon extensive archival research and a thorough command of published scholarship, Allen challenges the modern tendency to view the Indian and Atlantic oceans as self-contained units of historical analysis and the attendant failure to understand the ways in which the Indian Ocean and Atlantic worlds have interacted with one another. In so doing, he offers tantalizing new insights into the origins and dynamics of global labor migration in the modern world. The World Unclaimed argues that Heidegger’s critique of modern epistemology in Being and Time is seriously flawed. Heidegger believes he has done away with epistemological problems concerning the external world by showing that the world is an existential structure of Dasein. However, the author argues that Heidegger fails to make good his claim that he has “rescued” the phenomenon of the world, which he believes the tradition of philosophy has bypassed. Heidegger fails not only to reclaim the world but also to acknowledge its loss. Alweiss thus calls into question Heidegger’s claim that ontology is more fundamental than epistemology. The World Unclaimed develops its powerful critique of Being and Time by arguing for a return to Husserl. It draws on Husserl’s insight that it is the moving and sensing body that discloses how we are already familiar with the world. Kinaesthesia provides a key for understanding our relation to the world. The author thus suggests that thinkers in the vein of Husserl and Kant -who, for Heidegger, epitomize the tradition of modern philosophy by returning to a “worldless subject”- may provide us with the resources to reclaim the phenomenon of the world that Being and Time sets out to salvage. 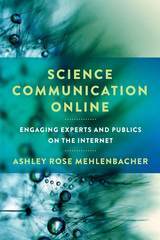 Alweiss’s fresh and innovative study demonstrates that it is possible to overcome epistemological skepticism without ever losing sight of the phenomenon of the world. Moreover, Alweiss challenges us to reconsider the relation between Husserl and Heidegger by providing a forceful defense of Husserl’s critique of cognition. In Contours of White Ethnicity, Yiorgos Anagnostou explores the construction of ethnic history and reveals how and why white ethnics selectively retain, rework, or reject their pasts. Challenging the tendency to portray Americans of European background as a uniform cultural category, the author demonstrates how a generalized view of American white ethnics misses the specific identity issues of particular groups as well as their internal differences. Interdisciplinary in scope, Contours of White Ethnicity uses the example of Greek America to illustrate how the immigrant past can be used to combat racism and be used to bring about solidarity between white ethnics and racial minorities. Illuminating the importance of the past in the construction of ethnic identities today, Anagnostou presents the politics of evoking the past to create community, affirm identity, and nourish reconnection with ancestral roots, then identifies the struggles to neutralize oppressive pasts. Although it draws from the scholarship on a specific ethnic group, Contours of White Ethnicity exhibits a sophisticated, interdisciplinary methodology, which makes it of particular interest to scholars researching ethnicity and race in the United States and for those charting the directions of future research for white ethnicities. 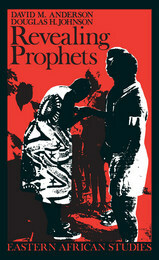 This book examines the richly textured histories of prophets and prophecies within East Africa. It gives an analytical account of the significantly different forms prophecy has taken over the past century across the country. Each of the chapters takes a new look at the active dialogue between prophets and the communities whom they addressed. This dialogue continues today as the politicians and activists throughout the region still look to prophetic traditions, garnering interpretations of the past in order to provide the validation of prophetic wisdom and heroes for the present. Out of the Woods: A Bird Watcher’s Year is a journey through the seasons and a joyous celebration of growing old. In fifty-nine essays and poems, Ora E. Anderson, birder, bird carver, naturalist, and nature writer, reveals the insights and recollections of a keen-eyed observer of nature, both human and avian. The essays follow the rivers and creeks, the highways and little-known byways of Appalachia, and along the way we become nearly as familiar with its numerous bird, plant, and animal species as with the author himself. These are not the memories of a single year, however, but of a long lifetime spent immersed in the natural world. Out of the Woods, presented with humor and passion, is an account of a well-lived, productive, and satisfying life. The essays offer an intimate portrait of a half century of Anderson's life on his beloved old farm (more nearly a nature preserve), where he lived in harmony with birds and nature and followed the rhythm of the seasons. We are invited to share the joys—and the disappointments and sorrows—inherent in such a life. Generously illustrated with Julie Zickefoose’s detailed and evocative drawings, this book will delight bird watchers, artists, naturalists, backyard gardeners, and anyone who is ever tempted to take a rutted, overgrown path just to see where it leads. At the height of the Nazi extermination campaign in the Warsaw Ghetto, a young Jewish woman, Irena, seeks the protection of her former lover, a young architect, Jan Malecki. By taking her in, he puts his own life and the safety of his family at risk. Over a four-day period, Tuesday through Friday of Holy Week 1943, as Irena becomes increasingly traumatized by her situation, Malecki questions his decision to shelter Irena in the apartment where Malecki, his pregnant wife, and his younger brother reside. Added to his dilemma is the broader context of Poles’ attitudes toward the “Jewish question” and the plight of the Jews locked in the ghetto during the final moments of its existence. Few fictional works dealing with the war have been written so close in time to the events that inspired them. No other Polish novel treats the range of Polish attitudes toward the Jews with such unflinching honesty. Jerzy Andrzejewski's Holy Week (Wielki Tydzien, 1945), one of the significant literary works to be published immediately following the Second World War, now appears in English for the first time. This translation of Andrzejewski’s Holy Week began as a group project in an advanced Polish language course at the University of Pittsburgh. Class members Daniel M. Pennell, Anna M. Poukish, and Matthew J. Russin contributed to the translation; the instructor, Oscar E. Swan, was responsible for the overall accuracy and stylistic unity of the translation as well as for the biographical and critical notes and essays. Chairil Anway (1922–1949) was the primary architect of the Indonesian literary revolution in both poetry and prose. In a few intense years he forged almost ingle-handedly a vital, mature literary language in Bahasa Indonesia, a language which formally came to exist in 1928. Anway led the way for the many Indonesian writers who have emerged during the past fifty years. This volume contains all that has survived of Anwar’s writing. It not longer need the sort of introduction it did soem thirty years ago when Burton Raffel first published English translations of Anwar’s work. 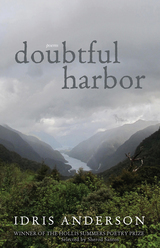 Raffel now presents the complete poems and the small amount of surviving prose in new translations with new interpretations. For forty years the Cuban Revolution has been at the forefront of American public opinion, yet few are knowledgeable about the history of its enemies and the responsibility of the U.S. government in organizing and sustaining the Cuban counterrevolution. 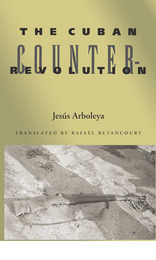 Available in English for the first time, this outstanding study by Cuban historian and former diplomat Jesús Arboleya traces the evolution of the counterrevolutionary movement from its beginnings before 1959, to its transformation into the Cuban-American groups that today dominate U.S. policy toward Cuba. Arboleya also analyzes the role played by Cuban immigrants to the U.S. and the perspectives for improvement in relations between the two nations as a result of the generational and social changes that have been occurring in the Cuban-American community. Is Italy il bel paese—the beautiful country—where tourists spend their vacations looking for art, history, and scenery? Or is it a land whose beauty has been cursed by humanity’s greed and nature’s cruelty? The answer is largely a matter of narrative and the narrator’s vision of Italy. The fifteen essays in Nature and History in Modern Italy investigate that nation’s long experience in managing domes­ti­cated rather than wild natures and offer insight into these conflicting visions. Italians shaped their land in the most literal sense, producing the landscape, sculpting its heritage, embedding memory in nature, and rendering the two different visions insepar­able. The interplay of Italy’s rich human history and its dramatic natural diversity is a subject with broad appeal to a wide range of readers. In the midst of the ongoing nationwide renaissance in local beer culture, Ohio has become a major center for the creation of quality craft brews, and Armon goes behind the scenes to figure out what accounts for the state’s beer alchemy. He asked the brewers themselves about the great idea or the happy accident that made each beer what it is. 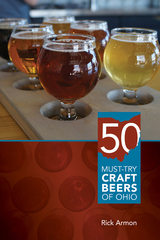 The book includes brewer profiles, quintessentially Ohio food pairings (sauerkraut balls and Cincinnati chili! ), and more. 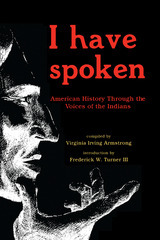 I Have Spoken is a collection of American Indian oratory from the 17th to the 20th century, concentrating on speeches focusing around Indian-white relationships, especially treaty-making negotiations. A few letters and other writings are also included. Here, in their own words, is the Indian’s story told with integrity, with drama, with caustic wit, with statesmanship, with poetic impact; a story of proffered friendship, of broken promises, of hope, of disillusionment, of pride, of a whole land and life gone sour. The Old West has been viewed from many perspectives, from the scornful to the uncritically romantic. But seldom has it been treated with the honest nostalgia of the wonderful accounts and pictures gathered in Denver in Slices. Ohio University Press/Swallow Press is proud to reissue this Western classic, which includes a brief survey of all Denver history, some slices depicting the most fascinating places and characters. The City Ditch, Cherry Creek, River Front Park, the Denver Mint, the Tabors, the Windsor Hotel, the Baron of Montclair, Overland Park, Buffalo Bill, Elitch's Gardens, and Eugene Field—they're all here. Illustrating these stories is an array of nearly one hundred pictures of the people, buildings, and street scenes: a fascinating panorama of the gold rush camp that became the Rocky Mountain metropolis. With a new foreword by renowned Denver historian Thomas J. Noel, this classic will once again help preserve Denver's lively past. The volume examines Rossetti’s poetry, fiction, and nonfiction from a variety of theoretical and critical perspectives in order to reevaluate her place in the Victorian world of art, literature, and ideas. The essays offer a radical rethinking of her best-known poems, retrieve neglected works, establish the diversity of her writing, and reposition Rossetti within a canon continually under formation. 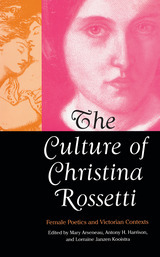 Contributing to the ongoing retrieval of the nineteenth-century woman poet, The Culture of Christina Rossetti highlights Rossetti’s responses to both male and female literary traditions and explores her incorporation and revision of literary influences from medieval Italian sources to contemporary writers. Rewriting Modernity: Studies in Black South African Literary History connects the black literary archive in South Africa—from the nineteenth-century writing of Tiyo Soga to Zakes Mda in the twenty-first century—to international postcolonial studies via the theory of transculturation, a position adapted from the Cuban anthropologist Fernando Ortiz. David Attwell provides a welcome complication of the linear black literary history—literature as a reflection of the process of political emancipation—that is so often presented. He focuses on cultural transactions in a series of key moments and argues that black writers in South Africa have used print culture to map themselves onto modernity as contemporary subjects, to negotiate, counteract, reinvent, and recast their positioning within colonialism, apartheid, and the context of democracy. In late 1930, on a secluded mountain overlooking the rural paddy fields of British Burma, a peasant leader named Saya San crowned himself King and inaugurated a series of uprisings that would later erupt into one of the largest anti-colonial rebellions in Southeast Asian history. Considered an imposter by the British, a hero by nationalists, and a prophet-king by area-studies specialists, Saya San came to embody traditional Southeast Asia’s encounter with European colonialism in his attempt to resurrect the lost throne of Burma. The Return of the Galon King analyzes the legal origins of the Saya San story and reconsiders the facts upon which the basic narrative and interpretations of the rebellion are based. Aung-Thwin reveals how counter-insurgency law produced and criminalized Burmese culture, contributing to the way peasant resistance was recorded in the archives and understood by Southeast Asian scholars. This interdisciplinary study reveals how colonial anthropologists, lawyers, and scholar-administrators produced interpretations of Burmese culture that influenced contemporary notions of Southeast Asian resistance and protest. It provides a fascinating case study of how history is treated by the law, how history emerges in legal decisions, and how the authority of the past is used to validate legal findings. The essays collected in Cultivating the Colonies demonstrate how the relationship between colonial power and nature revealsthe nature of power. Each essay explores how colonial governments translated ideas about the management of exoticnature and foreign people into practice, and how they literally “got their hands dirty” in the business of empire. The eleven essays include studies of animal husbandry in the Philippines, farming in Indochina, and indigenous medicine in India. They are global in scope, ranging from the Russian North to Mozambique, examining the consequences of colonialismon nature, including its impact on animals, fisheries, farmlands, medical practices, and even the diets of indigenouspeople. Cultivating the Colonies establishes beyond all possible doubt the importance of the environment as a locus for studyingthe power of the colonial state.